Last night's 5 goal demolition of FC Porto in the Champions League pushed the reds onto 99 goals in all competitions this season, making not only this season to date Liverpool's most prolific but also the manager too. 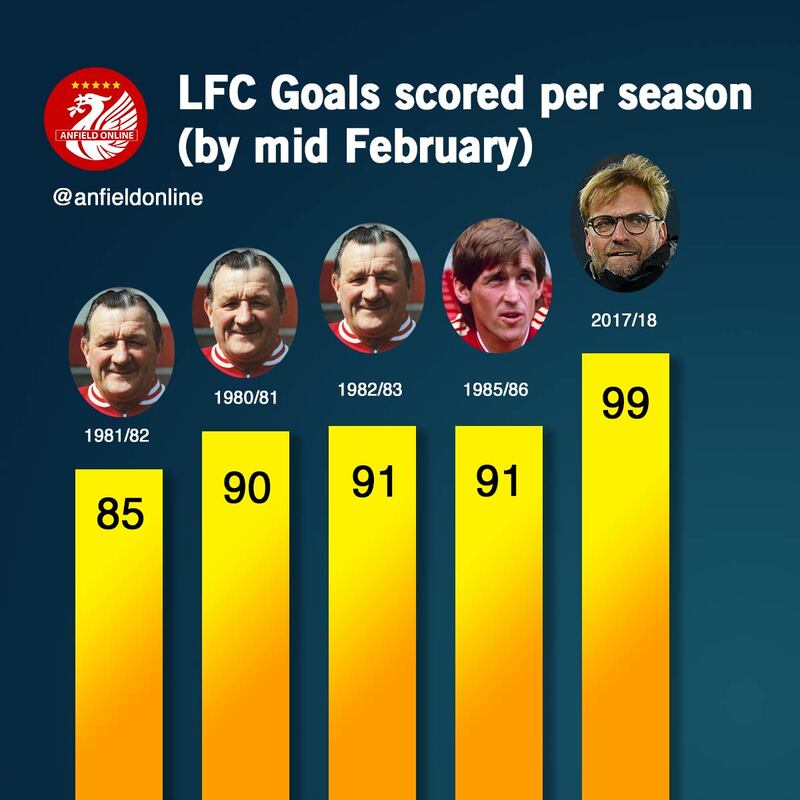 Jurgen Klopp is now averaging more goals per game in his Liverpool tenure than even club legend Kenny Dalglish managed in his silverware-laden spell between 1985-1991. There can be no doubt that Klopp has delivered at least on his promise of delivering heavy-metal football to the club. The reds total of 99 goals so far has been achieved in less games than 3 of the other top five seasons. The 85 goals achieved by Bob Paisley in 1980/81 was reached in 39 games - the same number of fixtures the reds have played in so far this season, but 14 goals less. Liverpool's lack of involvement in the domestic cup competitions is likely to seriously hamper any assault on the club's all time record of 138 goals in a season which was set in the 1985/86 season which featured 63 games. 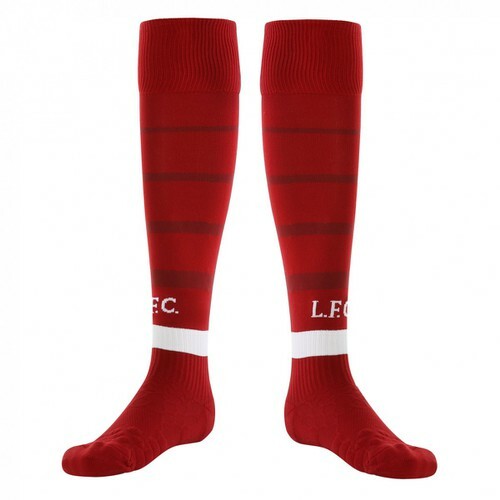 Even if the reds were to somehow go on to reach the final of the UEFA Champions League they would only play a maximum of 56 games this season, 7 games less than that Dalglish double winning campaign. Mo Salah is leading scorer for the reds with 30 goals in his 36 appearances, the second fastest to reach the figure after George Allan who played for the club way back in 1896! Roberto Firmino and Sadio Mane have weighed in with a further combined 33 goals, and the departed Philippe Coutinho had scored 12 of Liverpool's total. A total of 15 players have scored for the reds so far this season. All four centre-backs at the club have scored, and Trent Alexander-Arnold has dispatched 3 goals in his 19 appearances. At this stage of the season Liverpool also have a goal difference of +53 - this is the highest since Kenny Dalglish's 1987-88 title winning side. The reds have surpassed 100 goals 23 times in the club's history, have gone past 110 goals on 10 occasions and broken the 120 goal barrier just 4 times.